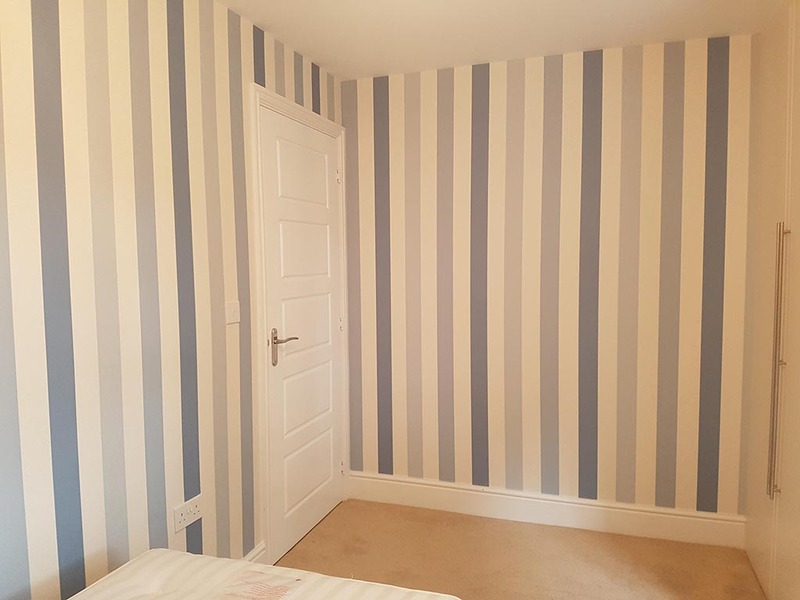 A fresh coat of paint or a feature wall can help achieve many aspirations; the quick sale of a property, the letting of a premises or attract new cliental! Fresh Start Decorators are here to help resolve those problematic areas such as mould or water stains. 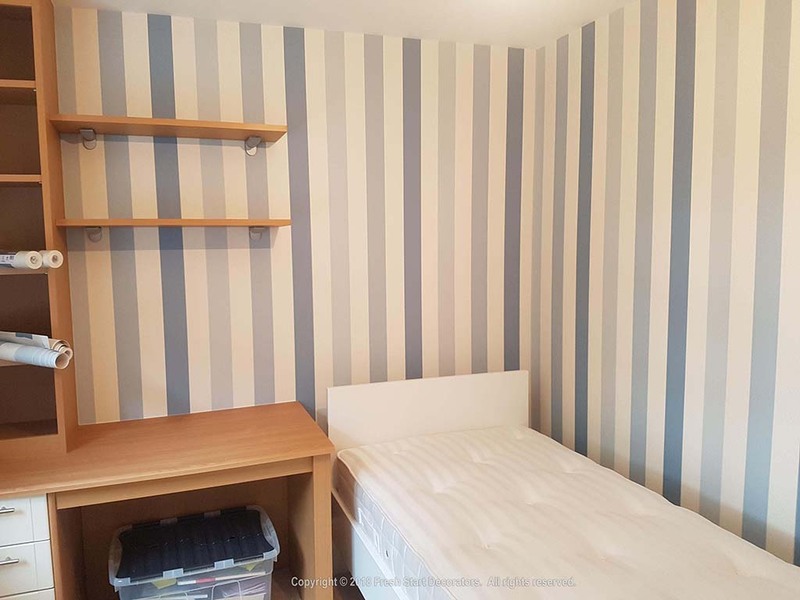 Fresh Start Decorators are painters and decorators in Birmingham. 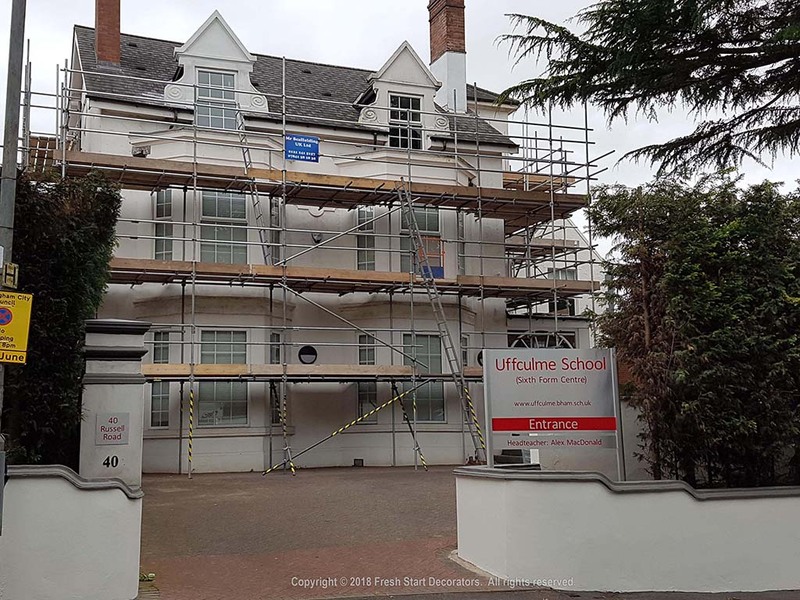 We provide painters and decorators for domestic, residential commercial and public sector property in the West Midlands including Shirley, Solihull and Sutton Coldfield. 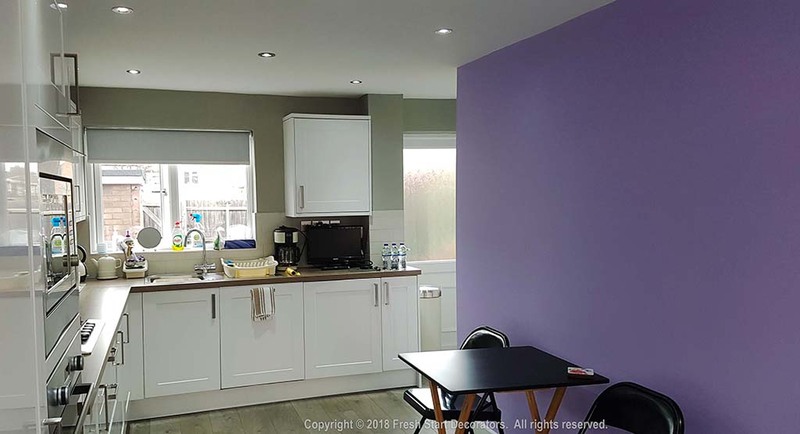 Fresh Start Decorators is a family run decorating company that provide painters and decorators who are friendly, approachable, experienced and here to help relieve any painting and decorating requirements you may have. The business strives to improve consistently. Over the years systems have been implemented to ensure you have a service individual to your specific painting and decorating needs. 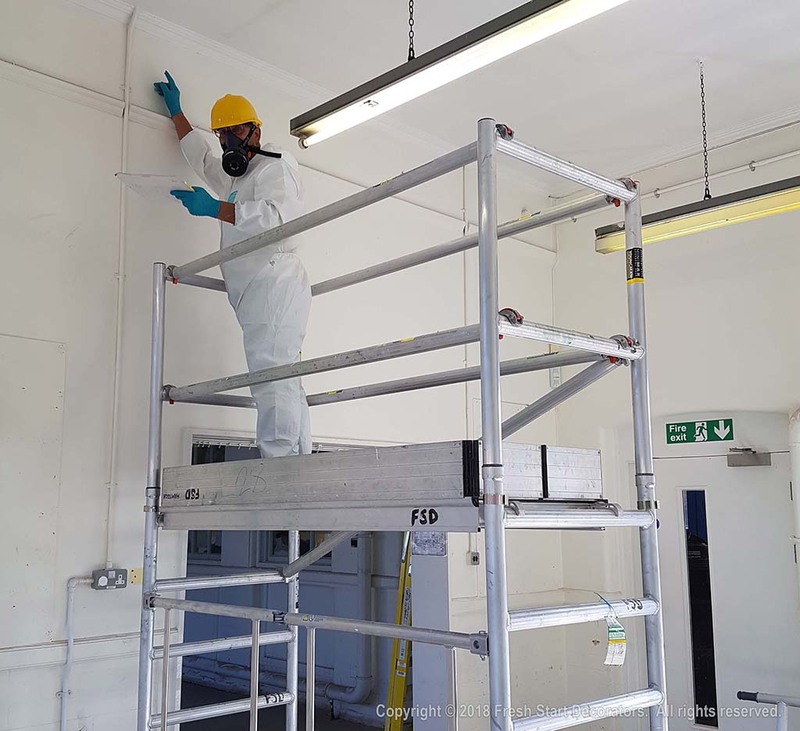 All our decorators are required to keep up to date with decorating methods, products and legislation to ensure the best in preparation, application and end results. 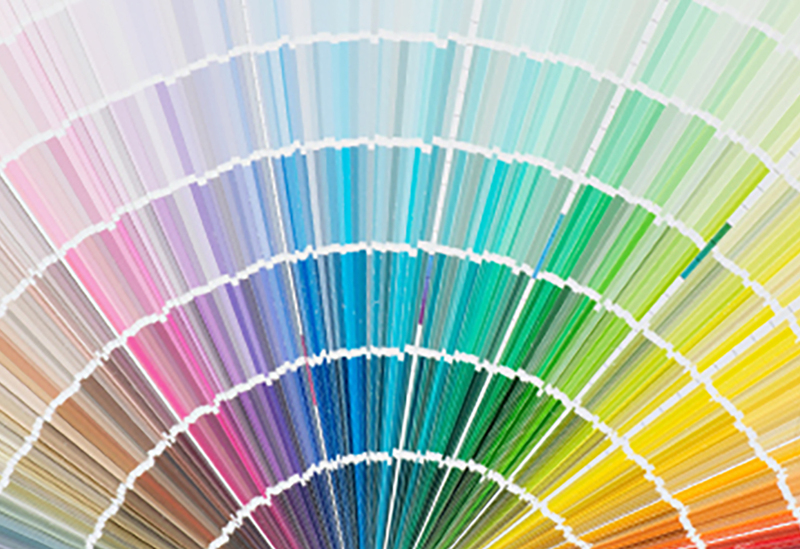 Nearly all our painting and decorating business is gained through word of mouth and recommendations. The service we provide ensures customers of today, remain customers in the future. Fresh Start Decorators provide a pressure washing services. 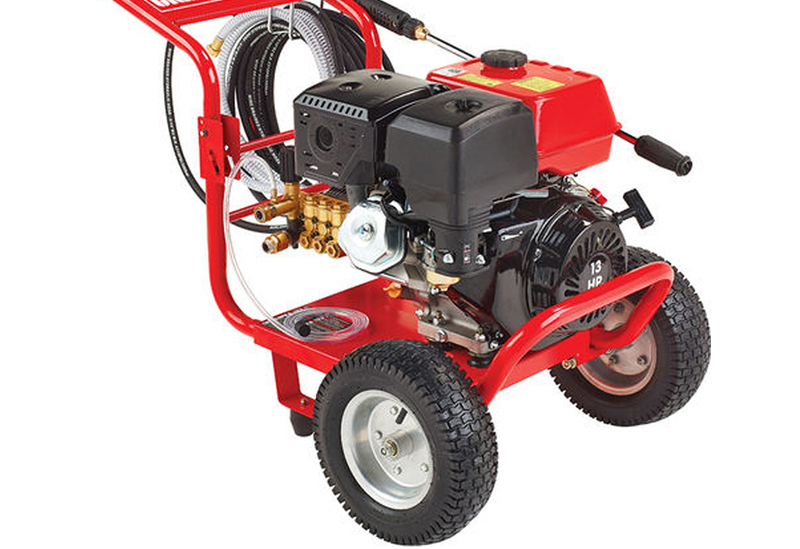 Unlike domestic pressure washers that reach low psi figures our machines can provide up to 260bar worth of pressure (just under 3800psi) using a 13hp engine depending on the project, we also use various attachments and products to provide a quality finish. 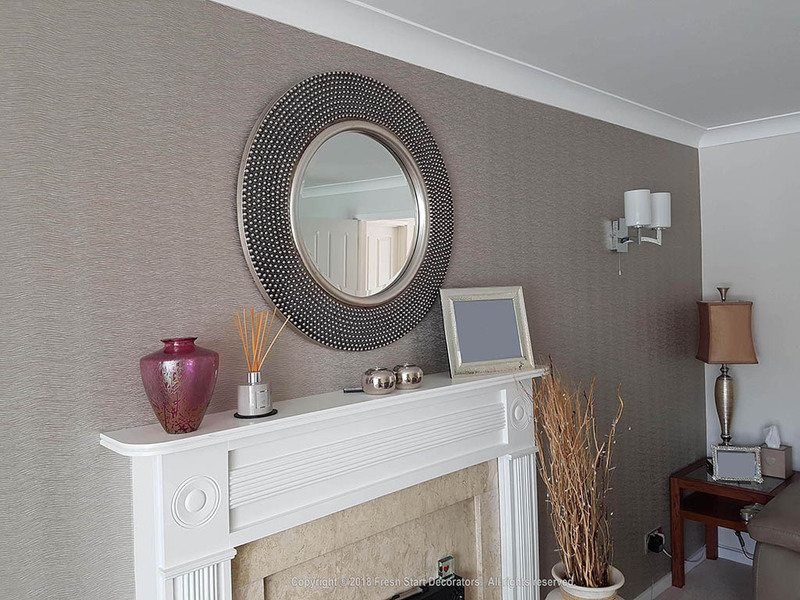 We understand that it can be difficult to choose which colour or wallpaper finish to select. For this reason we offer a consultation service to help relieve some of the stresses the selection process may bring. 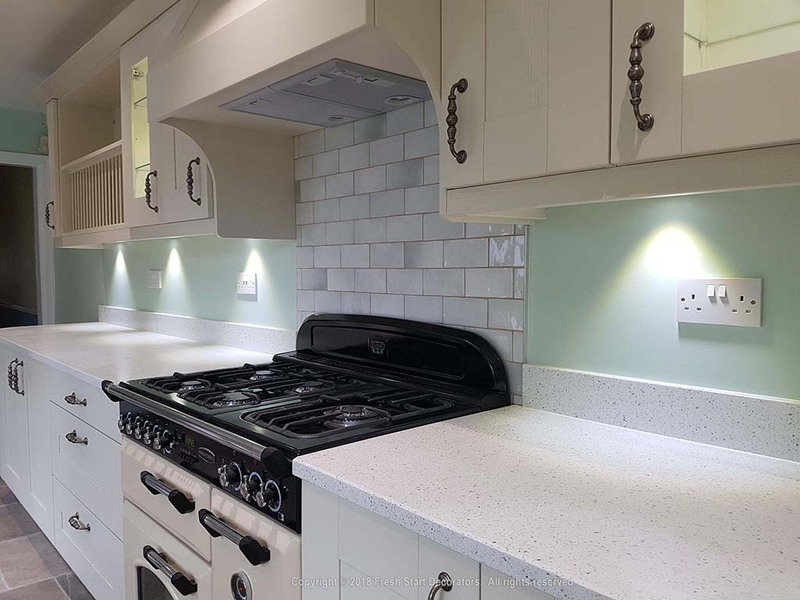 Fresh Start Decorators will only ever use the correct products for the correct substrates, and will ensure that the products are applied in the correct methods described in the product manufacturers datasheet. 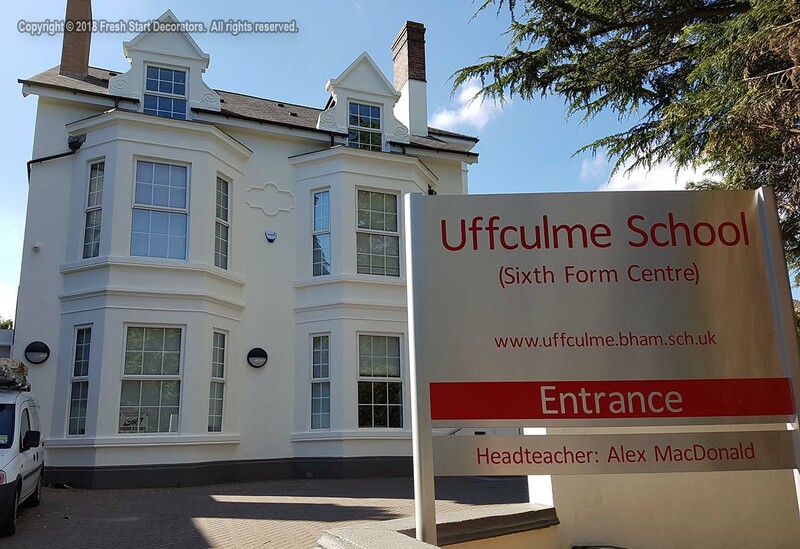 Professional Birmingham decorators that ensure the painting job is done correctly. 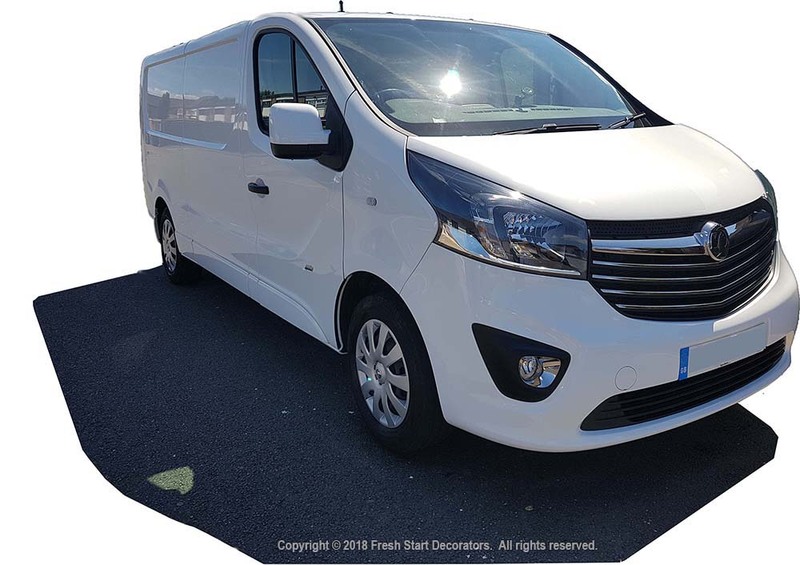 Fresh Start Decorators have a health and safety management system in place that covers over 14 sections with policies and procedures reviewed annually or earlier as required in the documentation. This keeps our painter, decorators, clients and public safe. Efflorescence is a term to describe mineral salts that appear on the surface of substrates caused by moisture migrating through it. The problem can occur on interior and exterior painting work. The moisture causes the surface to have paint failure in the forms of peeling, cracking, blistering or crystal like substance forming on the surface. 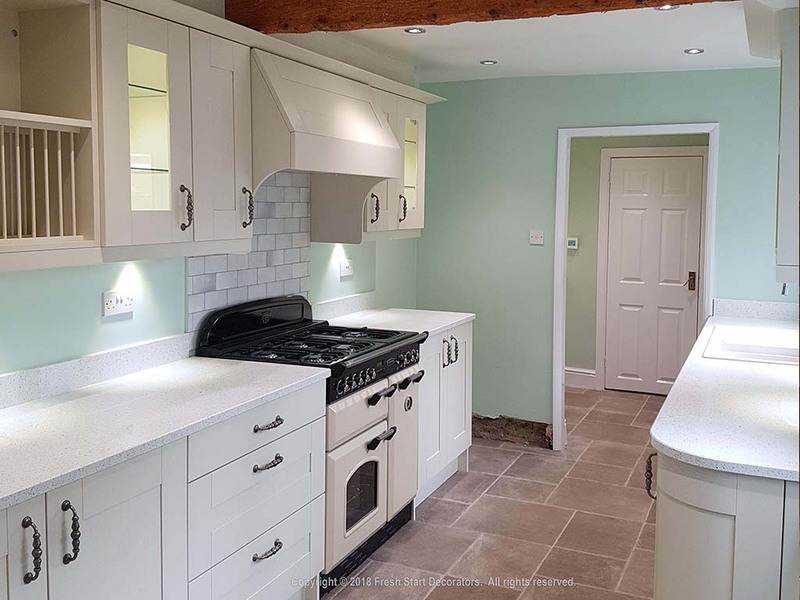 Fresh Start Decorators first process that takes place is a brief conversation to gain an understanding of your project requirements; also an idea of what your time expectations are. We will then proceed to take your contact name, phone number and address; these details are then entered into the company database. We will confirm a convenient time for Fresh Start Decorators to call out and discuss the project and take measurements. We may also text a reminder of these appointment details prior to the visit if a mobile number is provided. When we call out to make an assessment, we will introduce ourselves and reconfirm the work that is required. We will then take measurements of all the areas requiring the work and may need to take photographs depending on the project scale. At this time we will also offer any advise we believe maybe of help to you which may not have been considered; and answer any questions you may have for us. Once measurements are completed, we will confirm an email address you would like the cost of work sent to, and explain what the next process is. 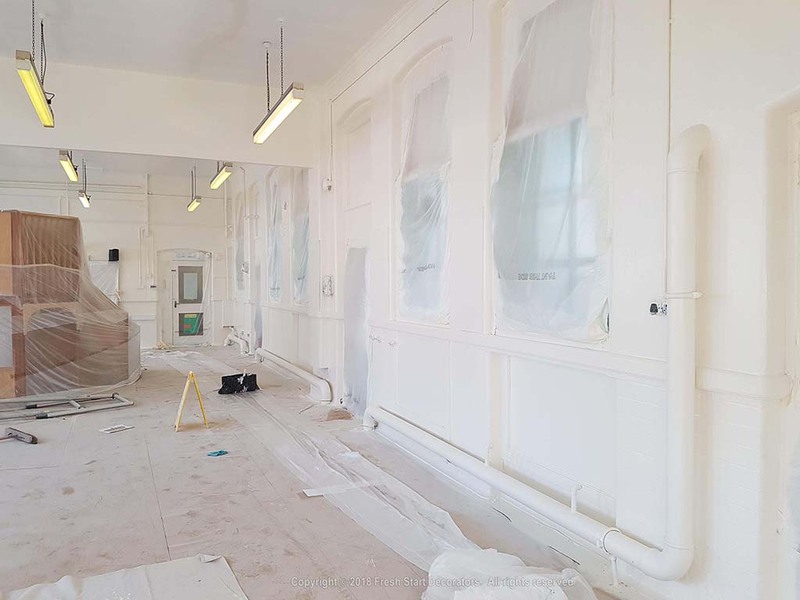 Once we have been onsite and collected a further understanding of the project required and have taken measurements; these details are entered onto our painting and decorating database. The database then makes all the necessary calculations and provides the documents that will be emailed to the address provided. The documents will include a description of the work and the area it is to be completed; including a cost. This may be displayed in two sections; material and services, depending on the requirements. You will also receive our terms and conditions and any other documentation we find necessary. When receiving all the information you require and if deciding your happy to proceed; we can schedule a convenient start date. At this stage any paperwork for specialist paint, colours or other products will be completed and sent for confirmation. We will also complete all required paper works required in our health and safety management system. We may require documentation such as the asbestos register, fire safety procedures etc. ultimately depending on the project scale. A reminder will have been sent prior to the start date and any notices and/or permits sent or obtained as required. All inductions, inspections and talks as required in the HSM system will be completed. We will keep you informed of progress and any methods being used. Answer any queries or concerns you may have. Ensuring your pleased with the progression and your requirements are being met. We will have given notice of the completion date. On the last day we will complete any minor snags. We will have a review to ensure the works are as required and then they can be signed off. 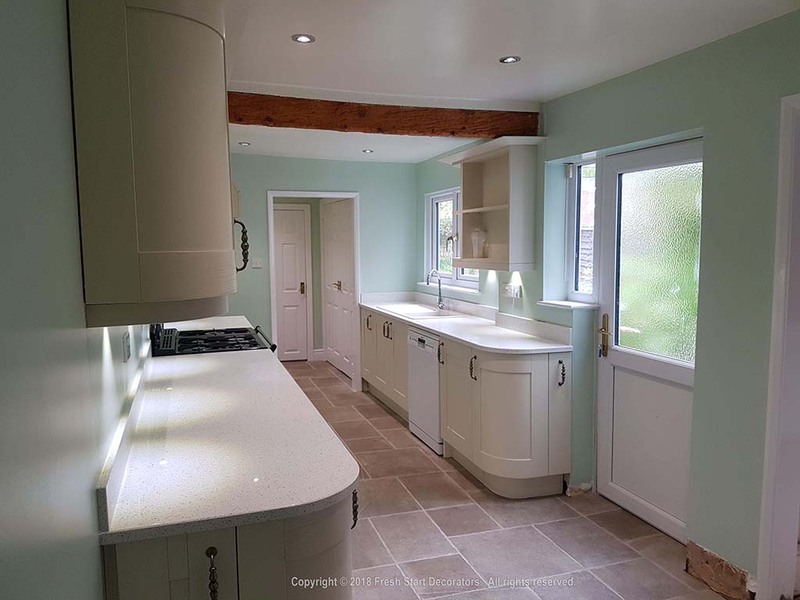 Once the works have been completed you will receive an invoice requesting payment. This will be handed in person, posted or sent via email, depending on the initial process. 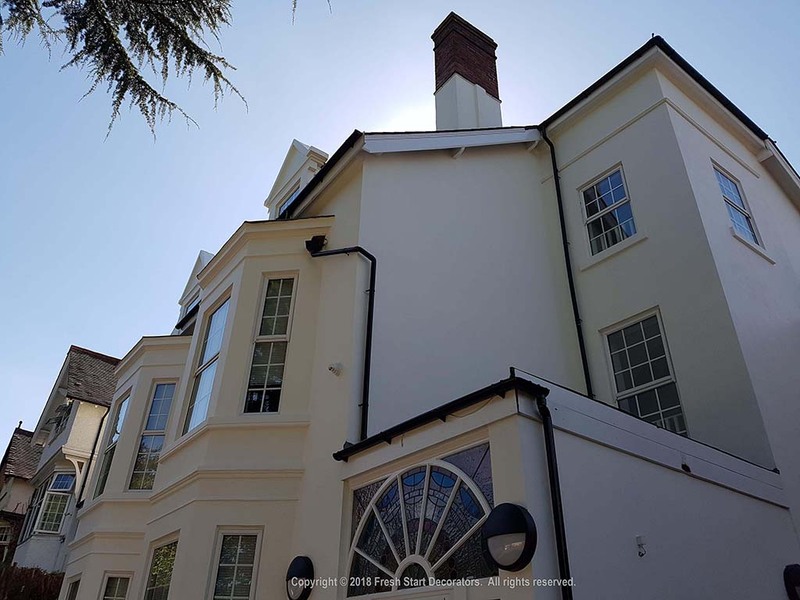 If for any reason what so ever you have any queries or concerns over the work completed by Fresh Start Decorators; we will arrange a convenient time to call out and make an assessment. 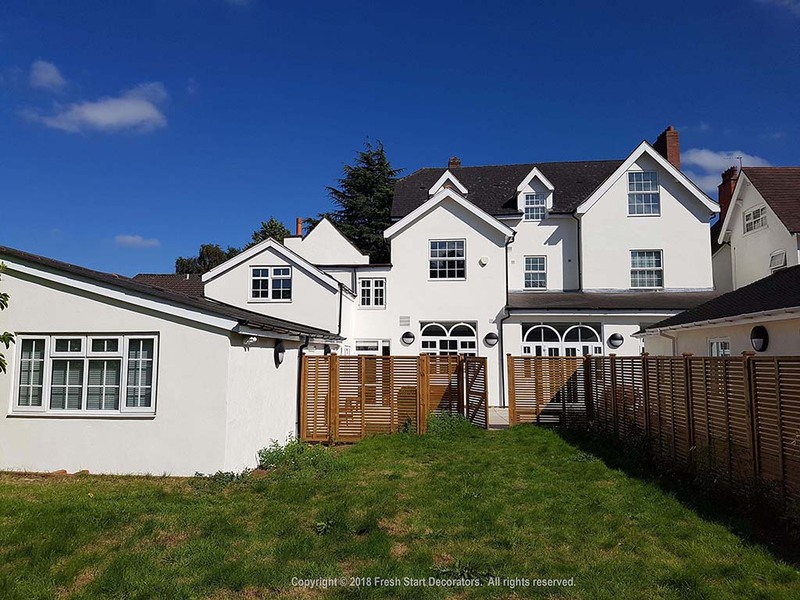 If on the assessment we find we may have overseen any snagging, we will work worth you to resolve this in a time convenient with you; as we care about our customers and take pride in our work. After the completion of work you may randomly be contacted asking if you would like to leave feedback for us possibly on one of many sites we are featured. 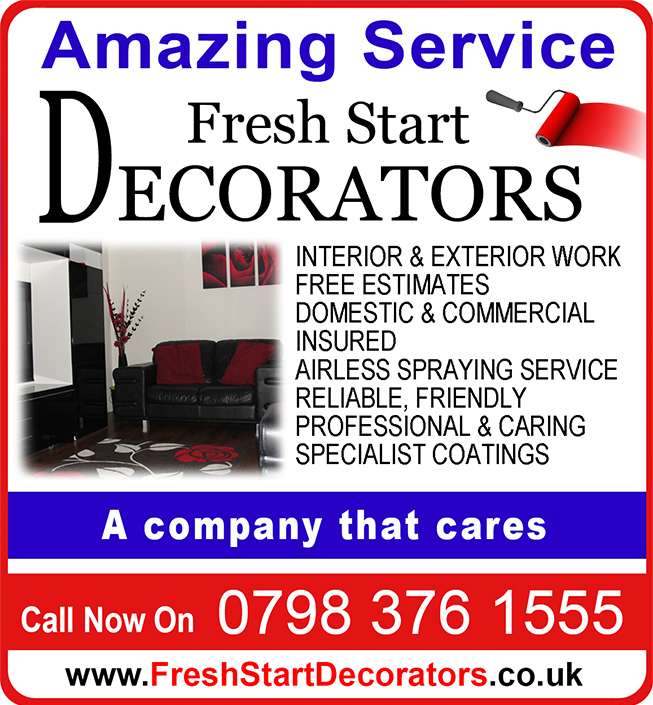 Fresh Start Decorators were used to redecorate our offices and the service was excellent. Communication could not be faulted, presentation and quality of work second to non. 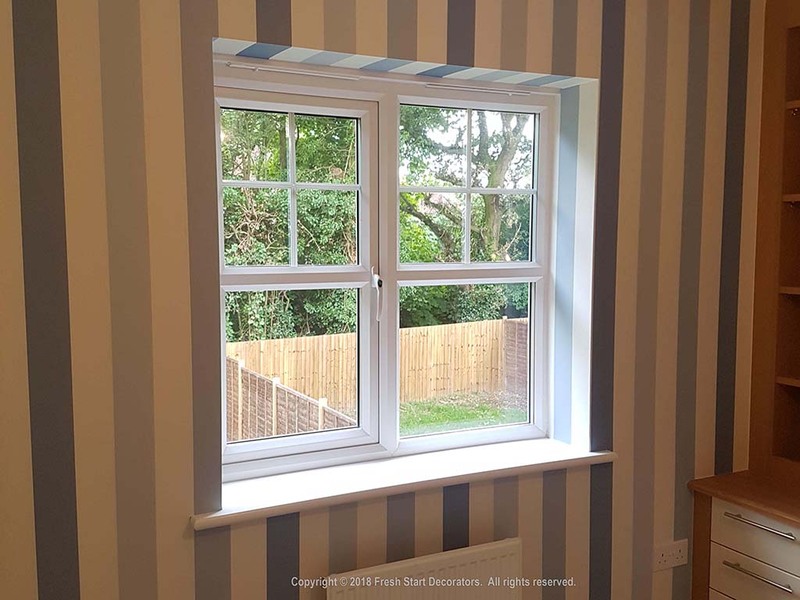 It can be extremely difficult in choosing any trades company, so why choose Fresh Start Decorators as the company to complete your decorating project? 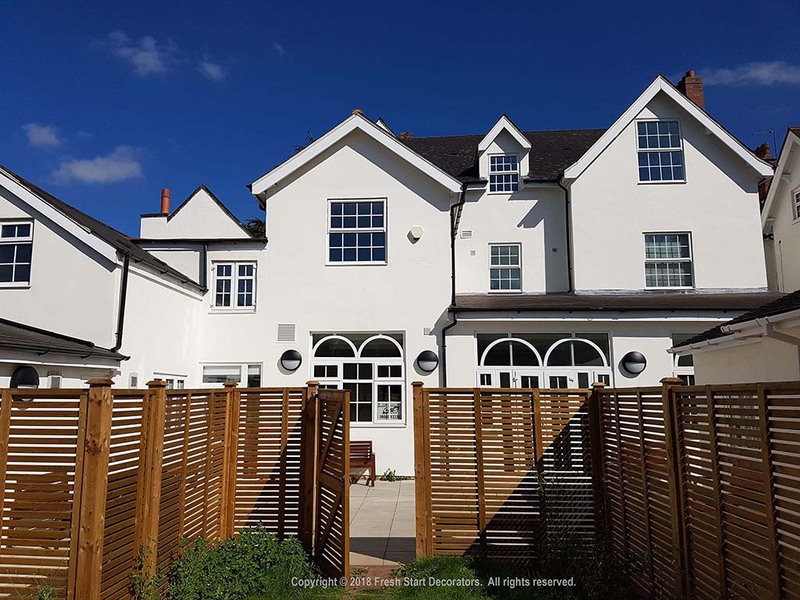 Our methods have consistently improved and developed through the lifetime of the business, this has provided us with a first class service from the first point of contact to the final completion of the project. Thus ensuring customers always return and continue to recommend our business to family and friends. Being friendly, professional, trustworthy, approachable and experienced. Fully insured and comply with CDM; health and safety legislation. Apply the correct products using the correct method of application in guidelines with the products manufacturers datasheets, thus ensuring a lasting finish. 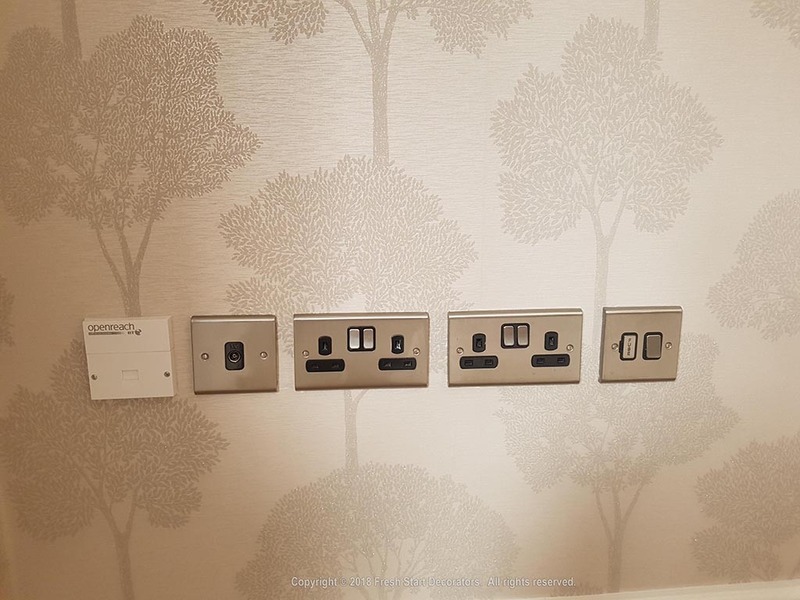 Listen to decorating requirements and suggest alternatives that may be more suitable which clients may not have been aware of. Fully understand project requirements and spend time with the customer to confirm and keep you updated throughout the project by methods to meet your requirements. On completed works we walk through with the customer to ensure all aspects have been seen to. Fresh Start Decorators aim to minimise our impact on the environment and comply with relevant environmental legislation. The company seeks new ways to improve our environmental performance. Setting targets to minimise the use of water, energy and natural resources where possible. Recycle and minimise waste through waste prevention methods and dispose of unavoidable waste safely. Where possible avoid the use of hazardous materials and work with environmentally aware suppliers. The company has already implemented used roller and paint brush storage systems which prevent the need for continuous cleaning; dramatically reducing water and chemical waste. Nothing remains the same forever! 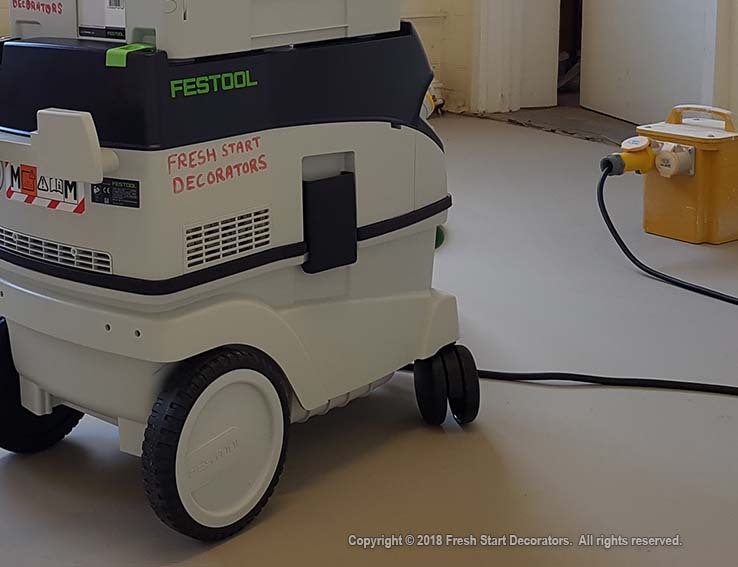 This is why Fresh Start Decorators keeps up to date with all the new products and equipment available. When sourcing new resources we believe may benefit the company and our customers, any training is undertaken and the resources put to test. We have a training development system in place that monitors any training that needs refreshing (such as ipaf licenses and asbestos awareness certificates) or new training that may needed in certain areas. No true trades professional can complete work to a high standard without having the correct equipment. 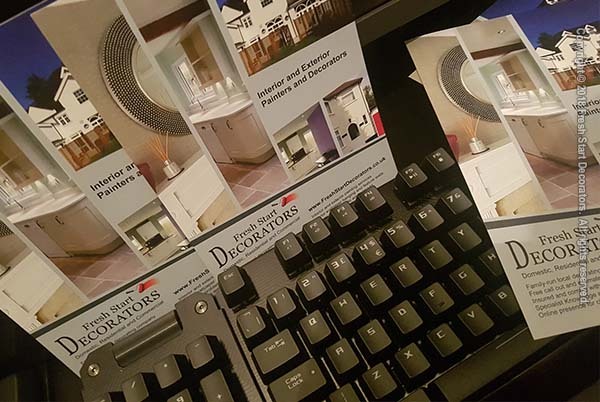 Fresh Start Decorators continuously invests in the business to ensure we provide work to the highest standard. We have high quality brushes and rollers from a leader in the market, dust extraction units; of the highest specification. Access equipment that allow reaches to areas that would otherwise not be possible. Powered equipment that helps to provide the finest finishes. 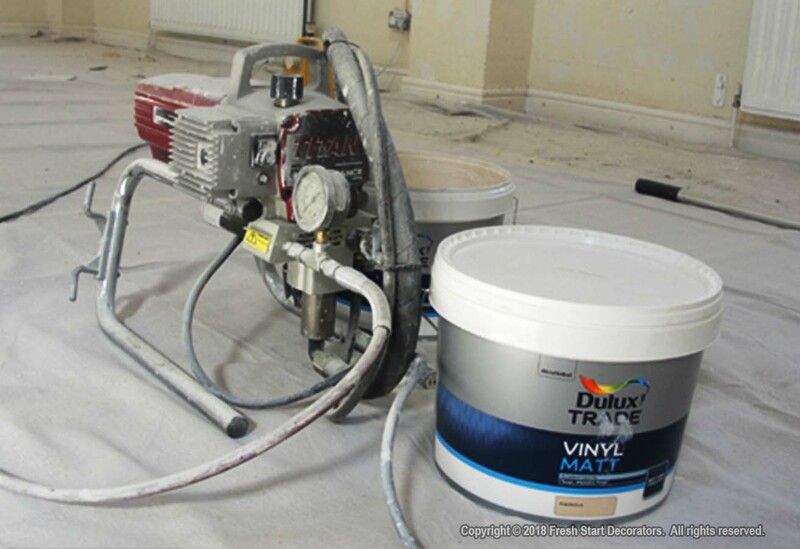 Airless, hvlp and xvlp paint spraying equipment. Professional, trained, assessed and insured.